How to secure a balanced participation of all stakeholders and extending standards to new areas were the main issues discussed in a public hearing in the Internal Market Committee to set off the Parliament's work on the Future of Standardisation. CEPI was present at the hearing. 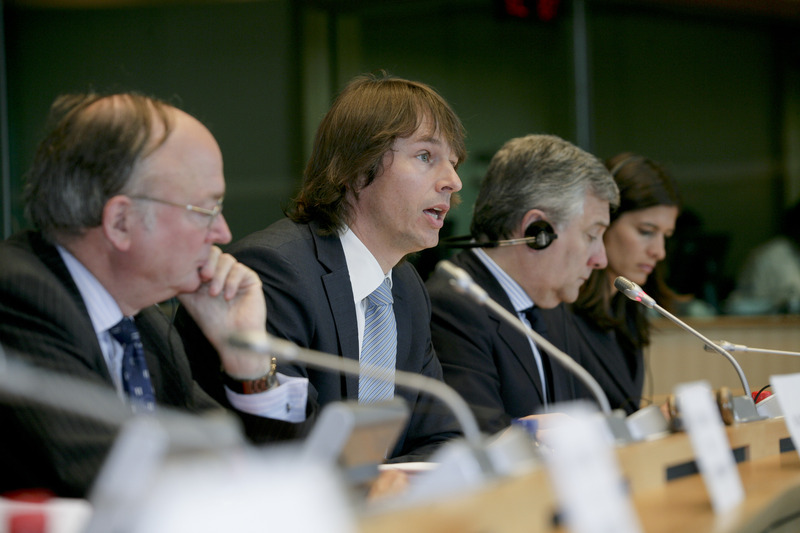 The hearing held on 23 June was a first step for the IMCO Committee to lay out its views on the future of standardisation in an own-initiative report to be presented shortly before the Commission presents its "Standardisation package" in November. In this respect, Committee Chair Malcolm Harbour (ECR, UK) called the report a "good example of strategic thinking" on behalf of the Committee. "Standardisation is a tool for developing the internal market and a tool to help us serve citizens better", Edvard Kožušník (ECR, CZ) Parliament's rapporteur declared in his opening remarks. Standardisations creates level playing fields, increase Europe's competitiveness and open up markets. The hearing brought together leading experts from major stakeholders in standardisation including standardisation organisations, industry, consumers and workers' associations. Not only industry representatives, but also the voice of workers and consumers must be included in the discussions on the future outline of new standardisations the invited speakers underlined and further emphasised the need to reach out to especially SMEs, environmental organisations as well as organisations representing disabled people and the elderly. New areas to be covered by standardisations include in particular the fields of IT and communications, where product innovation necessitates new standards, as well as the service area which has gained importance as a result of the shift in European production from industry towards service businesses. Other areas mentioned were nanotechnology and environmental protection. Alan Bryden, former Secretary General of ISO, also pointed out the need for a "cross-sector approach to standardisation" naming electric cars and energy efficiency as examples of innovative production areas which are currently weak due to the lack of a cross-sector standardisation method. In a reply to a question from Heidi Rühle (Greens, DE) on online participation, Loucas Gourtsoyannis, Director of European Office of Crafts, Trades and Small and Medium sized Enterprises for Standardisation, said that he was happy about the online systems which enables stakeholders to send in opinions, but that it should also be possible for them to be part of the voting bodies. The rapporteur Edvard Kožušník will now begin the work to sum up the Parliament's position in an own initiative report. The report is expected to be voted in Committee in September and presented to the Plenary in October. In parallel, the Commission is currently working on a "Standardisation package" to update European standardisations. The legislative package is expected to be submitted to the Parliament and the Council for co-decision in November 2010. CEPI follows up on the development of the standardisation process as this self regulation instrument is of utmost importance to small and medium sized enterprises in Europe. Because property brokers and managers are semi regulated in the European Union, standardisation must contribute to adding coherence to professional obligations throughout the EU and remain ambitious enough not to end up with the least common denominator. It further remains CEPI's perception and conviction that self regulation measures need some level of regulative support if they are to reach their objetcives of quality care.